This is the tale of how a solicitor from Harrow ended up litigating about his off-street parking in the Supreme Court – and reached for Article 1 of Protocol 1 (A1P1) of ECHR, by way of a second string to his bow. Not his choice, as he had won in the Court of Appeal on other grounds. But his failure on the point reminds us that in the majority of cases A1P1 is a difficult argument to bring home. Mr Cusack had been parking his car in front of his premises since the late 1960s. He got temporary planning permission for his offices in 1973, but hung on when this expired and got established planning rights in 1976. Things started to go wrong for him when in January 2009, when the highway authority wrote to him saying that the movement of vehicles over the footway caused danger to pedestrians and other motorists. In March 2009 he was told that the council were planning to erect barriers stopping him from using his parking space. He began proceedings in the county court for an injunction to prevent the erection of these barriers. Judge McDowall and on appeal Maddison J found in favour of the council, but their decisions were reversed by the Court of Appeal. The Council had got itself into a muddle about the powers it wished to use in respect of Mr Cusack, but eventually plumped for section 80 of the Highways Act 1980, instead of section 66(2). Why did it matter? Because the latter came with compensation and the former did not. Much of the leading judgment of Lord Carnwath considers the planning and highways legislation. He concludes that on a natural reading of the sections the Council could choose which section it wished to rely on – subject to the A1P1 point. The issue then became whether the closure of Mr Cusack’s access without compensation under section 80 was compatible with A1P1. Mr Cusack’s argument was beguilingly simple. 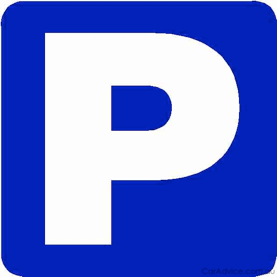 Use of section 80 to deprive him of vehicular access to his own property and the right to park on his own hard-standing, without any compensation, would be a breach of A1P1, which can be avoided by use of section 66(2) to achieve the same end. The Council could thus avoid a breach by using the other section and paying compensation. Well-established ECtHR case law makes it clear that there is a material distinction in A1P1 terms between the “deprivation of possessions”, and the “control of the use of property.” It was argued that Mr Cusack’s common law right of access to the highway was deprivation of a possession if it were so, the absence of a right to compensation will only be justified in exceptional circumstances. His fallback was that if this were a control of his property rights, albeit lawful and in the general interest, the council had not discharged its onus of showing the proportionality of the interference. I say at once that I see no basis for his reliance on the second rule. Mr Cusack has not been deprived of any property. [Counsel] was unable to point us to any support in the Strasbourg cases for treating a restriction on the form of access as a deprivation of a possession under that rule. On the other hand…..it falls clearly within the third rule as a control of his property. Accordingly, it is in that context that its compatibility with the Convention right must be considered. the issue of proportionality can be expanded into the following question: ‘whether the interference with the applicants’ right to peaceful enjoyment of their possessions struck the requisite fair balance between the demands of the general interest of the public and the requirements of the protection of the individual’s fundamental rights, or whether it imposed a disproportionate and excessive burden on them. Thomas was a land compensation case where the ordinary meaning of the statute led to a truly bizarre outcome. But it referred to a Polish ECtHR case, Bugajny, about estate roads which was apparently supportive of Mr Cusack’s case. ….I regard Bugajny as a somewhat extreme example of the use of A1P1 to override the decisions of the national authorities. The court effectively substituted its own views for that of the national courts as to what was a public road under national law. However, it is relevant that the present case, like Bugajny, falls in the general field of land development and town planning, in which the state is allowed a wide margin of appreciation. As that case also shows, the issue of proportionality is not hard-edged, but requires a broad judgment as to where the “fair balance” lies. It is not in my view confined to cases of the “truly bizarre” (as in Thomas), or what might be termed irrationality or “Wednesbury unreasonableness” in domestic law. But the question was not a free-floating one – proportionality must be assessed principally by reference to the balance drawn by section 80, allowing for the wide margin of appreciation allowed to the national authorities. There may be room for argument as to where the line in section 80 should have been drawn, but the compatibility of the section is not the issue. Given the availability of the power as a legitimate means of controlling use of a private access in the public interest, its use in the present circumstances was in my view neither an abuse of the council’s powers nor outside the boundaries of the discretion allowed by the Convention. A1P1 does not carry with it a general rule that, where the state seeks to control the use of property, and could do so under two different provisions, which have different consequences in terms of compensation, it is obliged to invoke the provision which carries some (or greater) compensation. I have posted about a number of successful A1P1 claims recently – all 6 on the list below fall into that category. But the courts are still wary about intruding too far into the balance struck by the legislature, in the absence of some obvious injustice flowing to the particular applicant. So this case was really won or lost on the question of statutory construction advanced by Mr Cusack which had attracted the Court of Appeal – A1P1 was unlikely to save the day if that failed. Looking at Street View, and from north to south on that side of the road, the white house next to mobility world, and most forecourts to the north, have access. Mobility World doesn’t. Law Partnership does have access, as does Harrow International Communications Centre. Then there’s Drummond Cry Cleaners, and Maple Estate Agents, which don’t have access. Then there’s Mr Cusack’s place, with its pretty window boxes, which soon won’t have access. Then every property has access, or could if the owners demolished fences, up to and including the car wash. I cannot fathom the council’s motives, in picking on this one address, after forty years of not caring. That’s a more interesting question than the one about A1P1 that the court settled. Proportionate to WHAT legitimate aim exactly was this sudden change of heart claimed to be? There’s neither rhyme nor reason, in whom the council allows to park, and whom it blocks, nor why, in 2009, after forty years, they suddenly decided to migrate Mr Cusack from the group of the population it leaves in peace, to the group of the population it picks on. Street View is much more interesting than the judgment. I wonder if the courts bothered to find out how the land lies. Isn’t proportionality supposed to be fact sensitive? Is it potentially a breach of Article 14 to single out such a group (empty property owners) in respect of them being discriminated against? Has the council potentially satisfied or not the proportionality aspect in respect of the in effect 200% council tax increase? If the council did not contact the empty home owners prior to finalising matters, would this be a breach of procedure? Could A1P1 be relevant in respect of the above? Enter your email address to subscribe to this blog for free and receive weekly notifications of new posts by email. Brexit: Is the UK’s ‘Constitutional Moment’ here at last? This blog is maintained for information purposes only. It is not intended to be a source of legal advice and must not be relied upon as such. Blog posts reflect the views and opinions of their individual authors, not of chambers as a whole. Disclaimer: This blog is maintained for information purposes only. It is not intended to be a source of legal advice and must not be relied upon as such. Blog posts reflect the views and opinions of their individual authors, not of chambers as a whole.